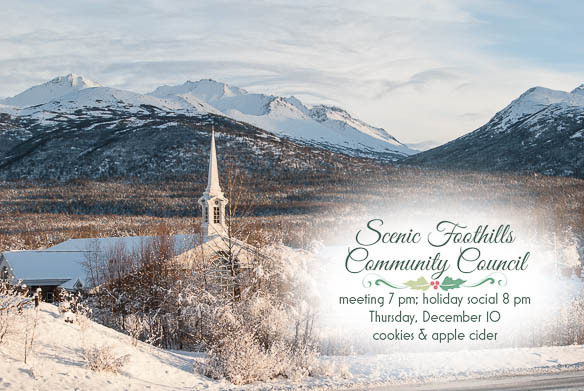 Scenic Foothills Community Council meeting, 7 p.m. and holiday social with cookies and apple cider at 8 p.m. Thursday, December 10, in the auditorium at Wayland Baptist University, 7801 East 32nd Avenue. Access via Old Muldoon Road off 36th Avenue, west of Muldoon Road. Come and meet your neighbors! Everyone is welcome. 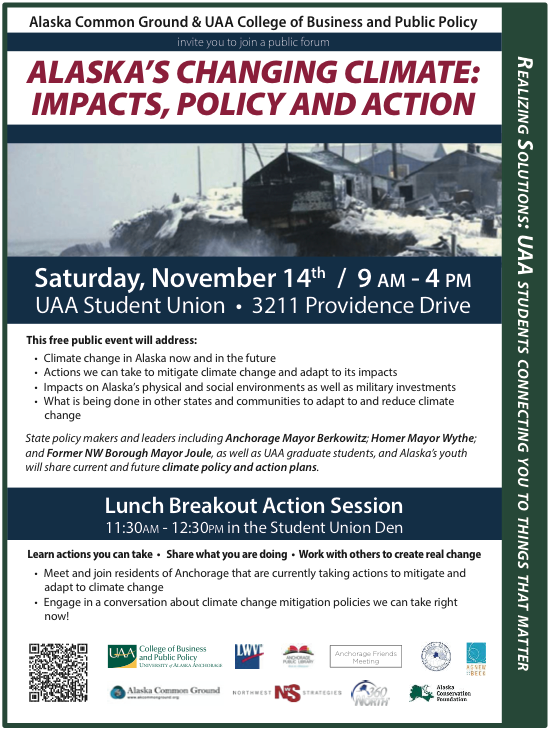 See newsletter, agenda and minutes links above this post. Click here for map and driving directions.